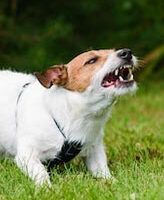 Many people believe that a dog bite is, at best, an annoying nuisance. But these claims cost homeowners’ insurance companies almost $600 million in 2016. That’s a 76 percent increase over the 2003 levels. Most animal attacks cause severe physical and emotional injuries. Physically, many victims suffer from broken bones and head injuries from the knockdown, along with extremely serious lacerations and other injuries due to the bites themselves. Older victims are particularly susceptible to serious physical injuries. Emotionally, many victims struggle with Post Traumatic Stress Disorder for months or even years after the attack. These symptoms are especially common among young victims. The Sunshine State has a limited strict liability law. This statute does away with the common-law “one bite rule” that immunizes owners unless they knew their animals were vicious. So, victims must only prove causation in these cases. However, the law only applies to owners and bites. As mentioned earlier, the knockdown injuries may be more serious than the bite injuries. Additionally, many animals also scratch and claw their victims. Moreover, largely to elude the strict liability law’s grasp, many owners leave their dogs in the custody of others. Negligence: If the tortfeasor (negligent actor) did not use ordinary care, the tortfeasor may be liable for damages. For example, a schoolteacher might allow her students to go near an unfamiliar animal. Scienter: This word is Latin for “knowledge.” If the owner knows the dog is dangerous, the owner may be fully liable for all damages. Evidence of knowledge includes not only prior attacks on other people or animals, but also pre-attack behavior like vicious growling, aggressive barking, or baring of teeth. Negligence Per Se: Tampa and most other municipalities have strict leash laws and other animal restraint ordinances. A failure to fully comply with such laws may trigger liability, if the victim connects the legal violation to the injuries sustained. Many Tampa dog bite cases also involve third party liability. Landlords are responsible for attack injuries in some cases. Most of these situations involve the landlord’s failure to enforce rules excluding certain dog breeds from rental properties. Moreover, in situations like the aforementioned schoolteacher example, the tortfeasor’s employer may also be responsible for damages. Insurance companies almost always try to use the provocation defense in these cases. They essentially blame the victim for the attack. But in Florida, provocation does not mean mere teasing or prodding. Instead, in this context, provocation means inflicting so much pain upon the animal that a violent response is justified. Young children usually cannot provoke animals as a matter of law. Florida also recognizes the “Beware of Dog” defense. Yet simply hanging a sign in the backyard does not excuse liability. The insurance company must also establish that the victim could see the sign, read it, and understand the meaning of these words. Dog bites usually cause serious injuries. For a free consultation with an experienced personal injury attorney in Tampa, contact The Matassini Law Firm, P.A. Home and hospital visits are available.